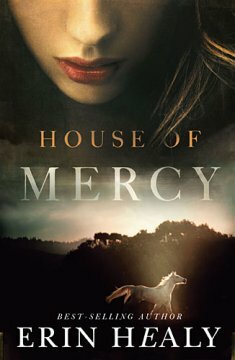 I recently requested House of Mercy from BookSneeze, I read Healy’s Never Let You Go a few years back and loved her style of suspense and thrill and realistic-ness of it all. The thought of God sending signs through wolves and tough circumstances. In Healy’s newest book, Beth faces tough choices and circumstances. Blessed with the gift of healing she faces loss and hurt while trying to correct her mistake. Her family is divided and decides to seek out her grandfather that she has never met. She hopes he can solve all the problems her family is facing. When in fact it is more of the journey lead by a mysterious gray wolf named, Mercy. I throughly enjoyed Healy’s House of Mercy, it was suspenseful, thrilling and emotionally toiling. You feel for Beth as she faces hurt, loss and pain. As she seeks hope and mercy and finds love and acceptance. I highly recommend this book, not only is Healy a favorite author, but the book is also set in Southern Colorado; my future home. Shelby, thanks for taking the time to read and comment on my book. I’m so pleased that you liked it.